Well they say diamonds are a girl’s best friend. 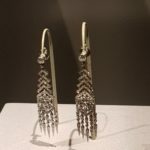 I must admit I do like diamonds but very simple pieces. 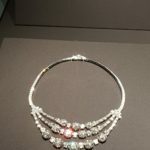 While I was in Canberra I went to the Cartier Diamond Exhibition at the National Art Gallery and immersed myself in over 300 beautiful pieces made of not only diamonds but pearls, sapphires, emeralds and other precious stones including tiaras, necklaces, brooches, men’s watches and cigarette holders. Many pieces were worn by Royalty, Heiresses and Celebrities from the 20th Century. Even from the beginnings of the 1900s people could afford such exquisite jewels. One item which I know the gentlemen would like was their very own travel case for making cocktails. Diamonds to me are associated with love or a gift from someone special which will hold memories not to show your wealth. 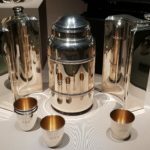 I don’t think we will ever see this astonishing collection from Cartier again in Australia and I am glad I was able to step into the glamour of the world for a short time. My favorite piece was this necklace owned by Grace Kelly, actress turned princess. For the gentleman a travelling cocktail maker.